According to a news article on the National Geographic website, scientists have learned from studying the brains of rats that they show regret after making the wrong choices. With my most popular search term being connected to my post on how to Make A Rat Trap Extremely Deadly, this story was too good to pass up. The rat above looks pretty cute. He even appears to be smiling for the photographer. But I can tell you without any hesitation, rats invading your homestead is anything but pleasant. The mess my three little rats left was and still is a major clean up. So far I have packed 60 lb of dry concrete mix into the hole they dug under the foundation as well as in the burrow they made in the area near the basement wall. I added water after the fact with my tree root feeder to solidify the concrete so future generations don’t get the same idea. Besides the mess, mainly “Escargot shells” and droppings (did you know that rats have no bladder control? They are constantly leaking…), I have been installing screen to areas I did not know they were getting through. 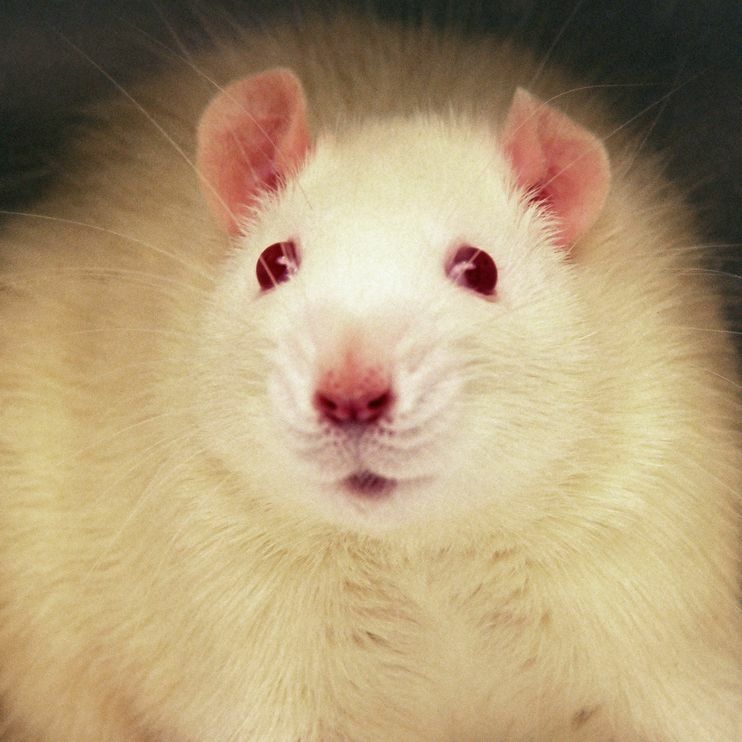 In the picture above of Psycho Rat, I can see in his eyes that he regretted trying to steal my peanut from one of my modified traps. This article leaves me wondering if Psycho Rat also regretted eating his fallen comrade as well as chewing off his own tail when it got caught in one of my traps? The only thing I think Psycho Rat regrets is his lack of quick reflexes. Who’s laughing now Mr. Psycho Rat? Unlike the rats in this study, I have no regrets that three rats died in my modified traps. 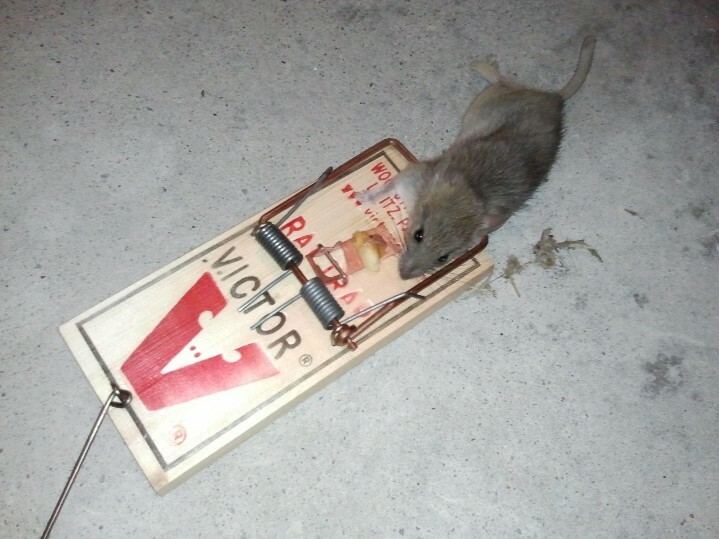 I have no regrets that my post on making rat traps effective killing machines is my most popular. I have no regrets for all the rats who have died because other people out in the internet world have found my post and followed my detailed instructions. The co-author, David Redish, concludes he “would also like to be able to translate what he’s seen in his rats to human behavior”. Yes, that cute little white rat can never be compared to the house/city/sewer variety!!!! That is so funny–laughed as I read your blog. Glad I made you laugh. Sometimes people miss the humor in my posts. I had a lot of fun with this post. Me thinks the same…I will find and add a YouTube video. Okay…now you can enjoy Frank Sinatra. The words fit this post perfectly. Thanks for the idea!